So today is the last s’mores treat I have for you. While I have about a trillion other s’mores ideas, my peanut butter cups are getting jealous. And no one likes an angry peanut butter cup. Tomorrow I will have a swift recap of my week’s treats as well as a chance for all of you guys to link up your favorite s’mores treat. But first, let’s get this quick, easy and yummy snack mix made and in your belly. That IS where snack mix belongs. All you need are 3 ingredients, a little dry time and you’re done! 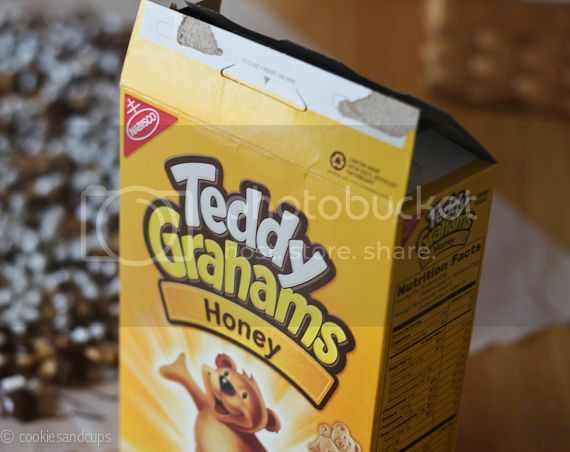 If you can’t find Teddy Grahams in your area you can use Golden Grahams or even broken graham crackers. 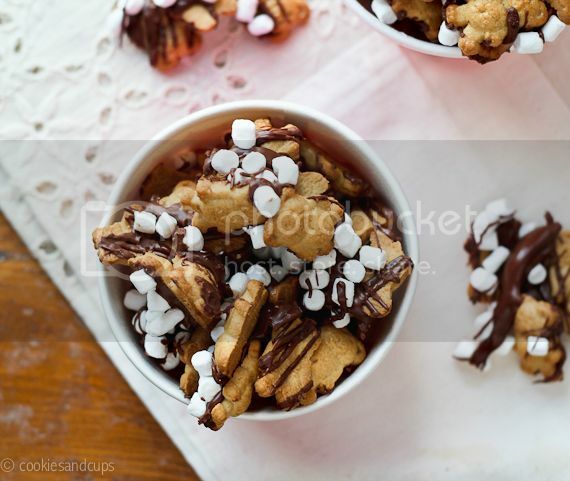 Melt some milk chocolate chips in a bowl. You could use Hershey’s bars if you would like, but I used milk chocolate chips, as an alternative. 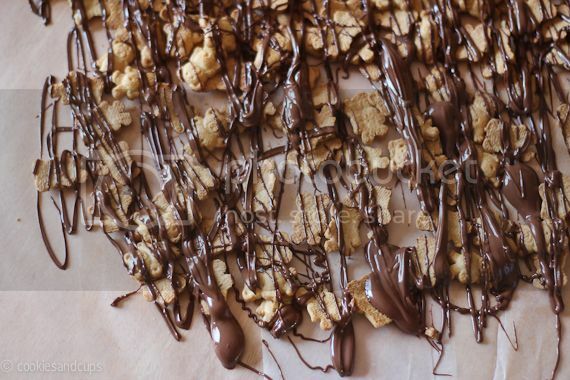 Drizzle the melted chocolate all over the Teddy Grahams. Next grab some of those cool new Mallow Bites. If you can’t find those, you could absolutely use regular mini marshmallows. Be liberal. My kids said the marshmallows were the best part. My kids are wise beyond their years. Let the chocolate set up. It took mine about an hour…so be patient. Perfect for parties or pack it in individual bags for snacks. See you guys tomorrow for the s’mores link up! On a wax paper lined counter spread Teddy Grahams out. 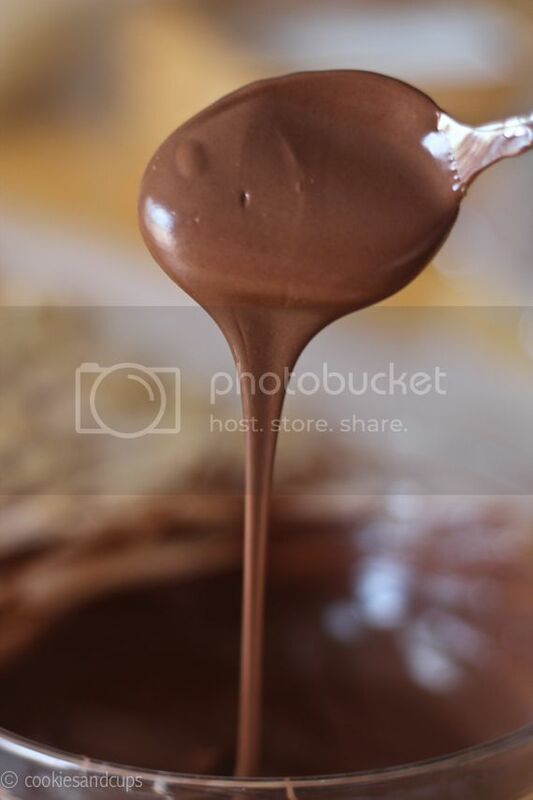 Drizzle evenly with melted chocolate. I’m in love with those new marshmellow bites and how crunchy they stay even when you bake them! 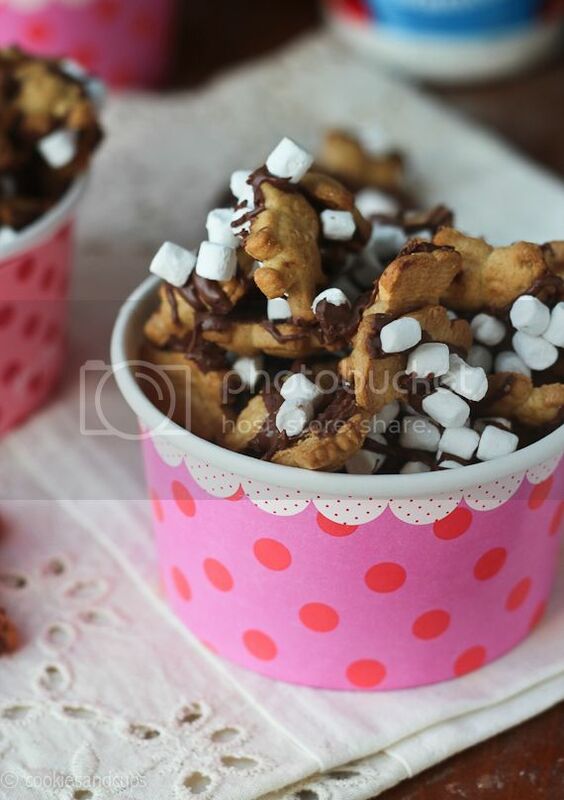 I have seen so many goodies made with those itty bitty marshmallows but I haven’t been able to find them anywhere! Looks super yummy and easy, love that! Best. Snackmix. Ever. I love Teddy Grahams! I loved the smores theme this week and to end with this is wonderful. My daughter would eat all the marshmallows off and want more. Your blog is wonderful and I love your writing, your very witty! Be liberal with the marshmallows…you don’t have to tell me twice. I have been eating those marshmallows by the handfuls:-) Cute party cups!!! 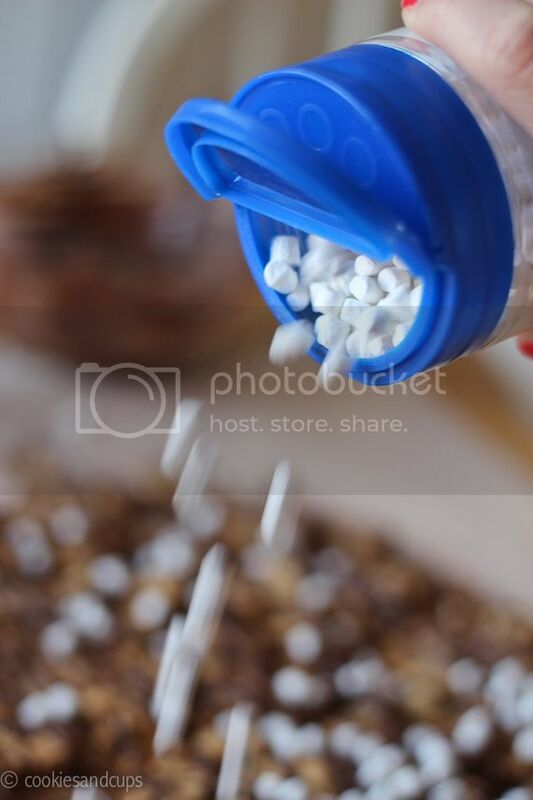 Cute idea with those new little marshmallows! Mmm this sounds fabulous! Yum! I love how you say to store it for up to 5 days, like it would last that long! Teddy Grahams + Me = bestest best friends! I love this idea. Just too adorable. I’m sad to see the end of s’mores week because they’re near the top of my favorite things. And those snack cups are so cute, I just have to know where you got them! Those tiny marshmallows are soooo cute! I am in Vancouver Canada and they don’t have them up here. I am going to have to make a trip to Seattle to see if I can wrangle some up! This looks so good. I must make this now. I cracked up over your peanut butter cups getting jealous. So funny! Peanut butter cups are angry little bastards when they’re jealous. S’mores that you can snack on? That would be the best kind! love the s’mores whoopie pies! they look great! You know, I know this is snack food and all, but it’s not that bad! You could totally grab a small handful for a quick sweet snack. This would be great to have on hand in little snack bags, and it probably would last a decent amount of time. The little bits would make you feel like you were eating more. Oh my word. Those look delicious. 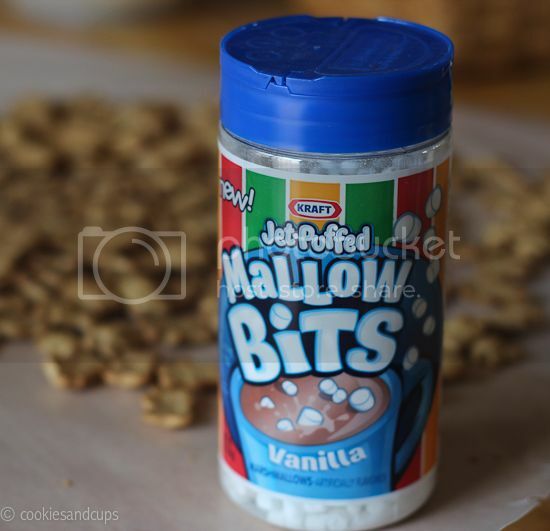 I hope that I’m able to find the Marshmallow bits here in Canada. And while I understand the PB cups are getting angry – I am very thankful for S’mores week because I LOVE THEM. 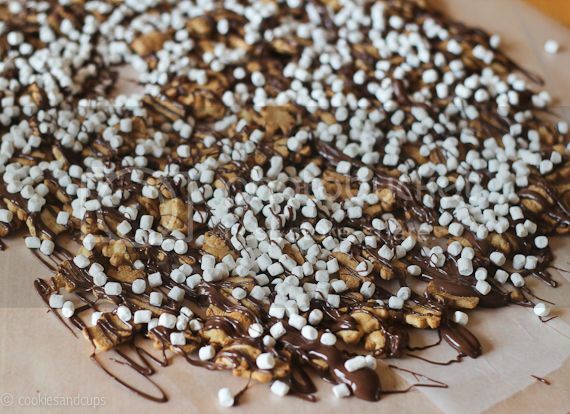 And the PB cups can just wait for a turn while marshmallows, chocolate and graham cracker goodness take the spotlight. This is an adorable snack mix! My son would love this in his lunch! I love it! What a great way to make up a quick and tasty sweet snack! I’m so making these with golden grahams. I…I love you. If it makes you feel any better, I sometimes skip the goodies and just read what you wrote! Crazy, I know, but I discovered your blog about 3 months ago, the same time that my husband and I started Weight Watchers. It is a cruel, cruel world. So, I live vicariously through your posts, imagining how good all of this stuff tastes. You have a great sense of humor and I look forward to each new blog…keep up the good work!! This looks so good and so simple! Can’t wait to try it out! Thanks! This is genius!!! Jon David would absolutely love it. Nice touch with the Teddy Grahams. This looks like so much fun…and yummy! These are so cute! Must find these mallow bits!! Teddy grahams, I can absolutely definitely for sure find. those little marshmallows…sigh. doubtful. But I AM posting a smores recipe tomorrow!! I love eating this kind of foods its easy to swallow..Chocolate flavor is my favorite also..Thank you for sharing with us.. I love those little teddys it makes me want to move to the US all the more! and like you say a great idea for parties! wicked cool idea. Thanks for sharing..my kid will love it. My kids would totally go crazy over this! I made these today as a little “Happy” for the end of our assessment tests this week in TN. I have done a quality control test and this recipe passes! So simple and sweet! I’m thinking this will be perfect for our end of the year picnic with Cub Scouts and possibly for field day! I love your blog and all of your recipes. 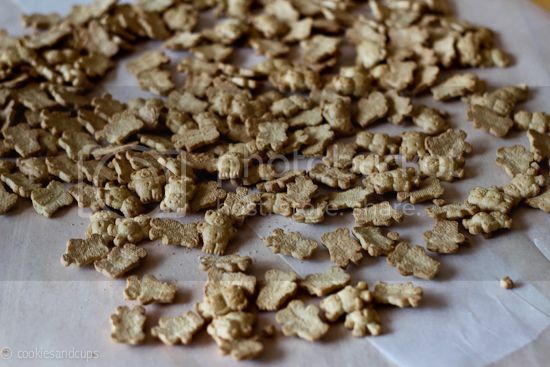 I love the idea of using Teddy Grahams, they are such a delicious snack! You are lucky to have such wise kids! Great idea.. anyone know where u can find the marshmallows? I found mine at Target, but have also seen them at my local supermarket! Mmmmmm…. I forgot how much I love Teddy Grahams. I think that my hunbasd would go for this just as much as the kindergarten class did. He loves to keep things like trail mix in his office. Thanks! Amazing! These look amazing! I would love for you to share and link up at my weekly TGIF Link Party if you haven’t already this week. Your favorite posts, most popular, recent or new! The party is open every Thursday night and closes Wednesday’s at midnight. Followed by (Not SO) Wordless Wednesday! http://apeekintomyparadise.blogspot.com/. Cute idea! I’m going to try it out for my little ones today. I’m sure they will love it. Can’t go wrong when there’s chocolate and marshmallows in one!